Let’s take a glimpse look on the Strawberry cake recipe. 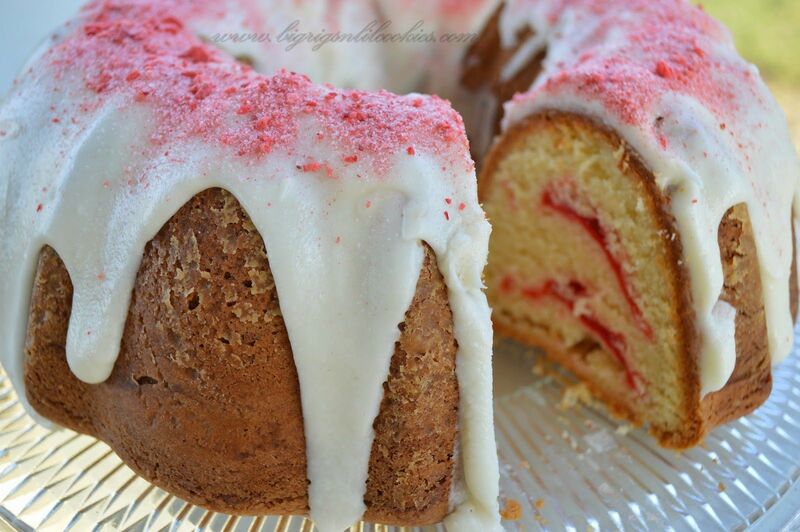 This is another delight, having a luscious taste of strawberry and comes out as a perfect pound cake. 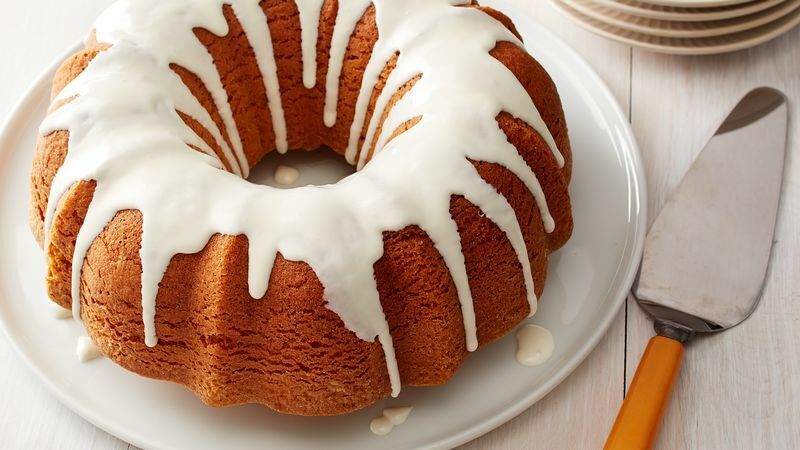 In this cake, the cream cheese is additionally added after the beating the butter and sugar, and the cake is also baked at slightly higher temperature than usual. Serve this yummy delicious cake to your loved ones, a perfect special weekend additional dessert to be served. Prepare a mixture of strawberries, water, sugar and cornstarch in a sauce pan and cook it at lower temperature, stirring continually. Until the mixture becomes thick or saucy. Allow it to cool down at room temperature before using it further. Preheat the oven at 325 degree temperature while greasing and flouring a standard size Bundt pan. Using an electronic mixer, beat the cream cheese and butter mixture at medium speed until it softens, for about two minutes. While beating, add sugar continually so that it mixes up well. Scrap the bowl once or twice until the mixture becomes very light and fluffy, for about 5 minutes. Add eggs one at a time, beating it until it mixes well before adding other ingredients further. Reduce the speed at low, scrape down the sides of the bowl, add flour until it mixes well. After it, add vanilla extract to the mixture along with salt and stir it at low temperature for about 1 minute. On the prepared Bundt pan, spoon about 2/3 of cake batter. Leaving 1- inch border around the edges of pan, top evenly with the strawberry filling. 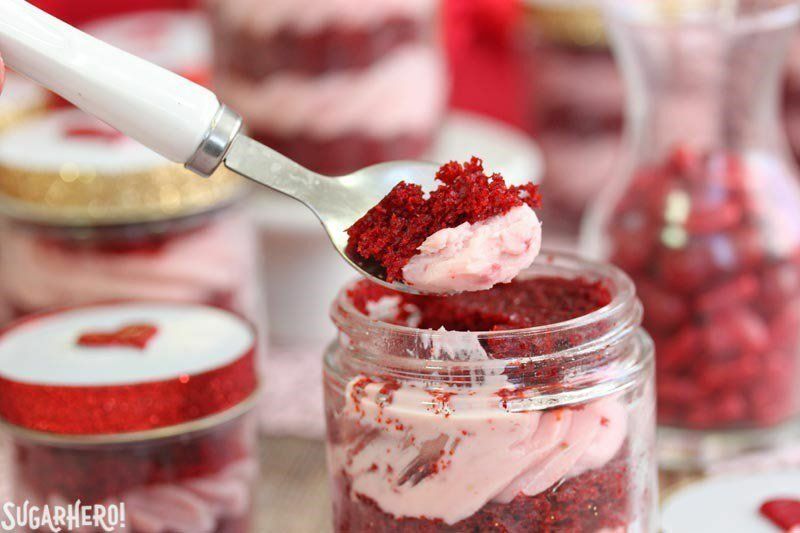 To swirl the strawberry filling with the cake batter, use thin paring knife. The remainder of cake batter on the top of the filling and gently spread towards the edges of the pan. Bake for 1¼ to 1½ hours, until the toothpick inserted in the centre of the cake comes out clear. Allow the cake to cool in the pan for about 15 minutes, then turn it out on to a wire cooling rack and allow to cool it down before serving. The remaining can be wrapped in a plastic foil and can be stored up to one week in refrigerator.